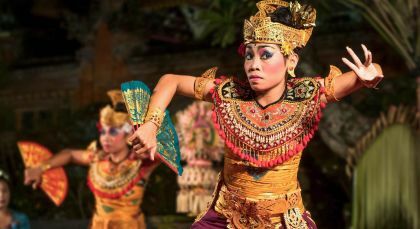 This Indonesia travel experience offers a magical mix of cultural delights and natural beauty in Java, impressive temples in Yogyakarta and rustic charm in Ubud and Sideman. 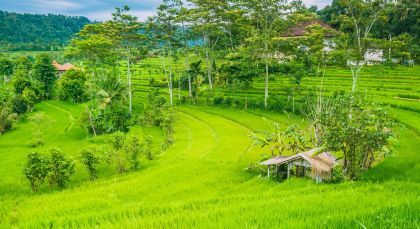 Discover ancient rice terraces, mystical experiences, and warm, welcoming people, and end your Indonesia tour with an incredible beach stay amid heavenly bliss in the Gili Islands! 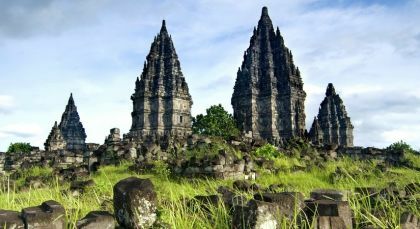 Borobudur is considered the garden of Java, due to its agricultural heritage and timeless fertile lands. 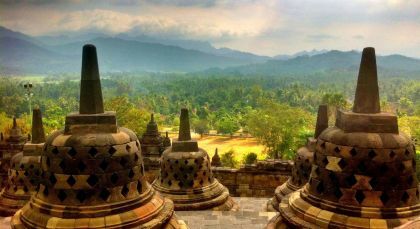 Borobudur is most famed for its ancient 9th century Mahayana Buddhist temple, located on a hill between the twin volcanoes of Sundoro-Sumbing and Merbabu-Merapi, and next to Progo River and Elon River. Catch the sunrise over Mt Batur with an early morning trek to the peak. You will leave your hotel around 3am and reach the starting point of the trek after a 1 hour drive. The climb up to the peak takes 60-90 minutes and the final stretch is quite steep. Experience a breath-taking view of the sunrise and a panoramic view of the valley and Lake Batur below. Coffee or tea as well as a light breakfast can be had at the peak. After your climb down, energize your body and mind with a swim in the hot springs at the shore of Lake Batur before visiting the Tirta Empul Palace, a holy spring water temple at Tampak Siring Village where you can watch Balinese Hindus purifying their souls. (Full Day 3AM till noon, Private Activity & Transfer; Fitness Level: Moderate-Difficult; Please bring warm clothing for the trek at dawn as well as bathing suits. Torches will be provided). Sideman is a quaint and picturesque town nestled in the foothills of the majestic Mount Agung of East Bali. The town is surrounded with lush green rice fields and vast agricultural lands. 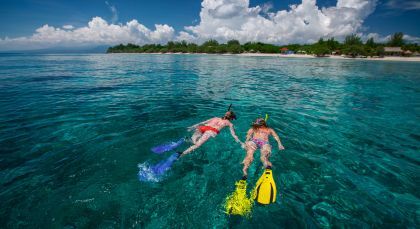 Gili Trawangan in Lombok region is the largest and most populated of the three established Gili Islands. What makes the island a paradise today is that there are no motorized vehicles, just bicycles and the local cidomo – a small horse cart. 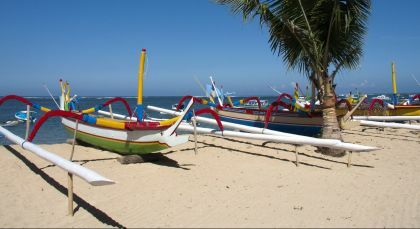 Sanur Beach in Bali offers a relaxed coastal atmosphere with all the charm of a fishing village. I have traveled the world with Enchanting Travels for many consecutive years. Every trip is unique, exciting and unforgettable. Enchanting staff looks after me since day one we start planning the trip and follows up with me throughout my travel. If I need anything big or small, they go miles to help! 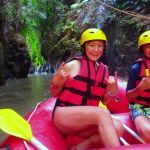 I can not imagine a travel agency with better quality service than Enchanting Travels!